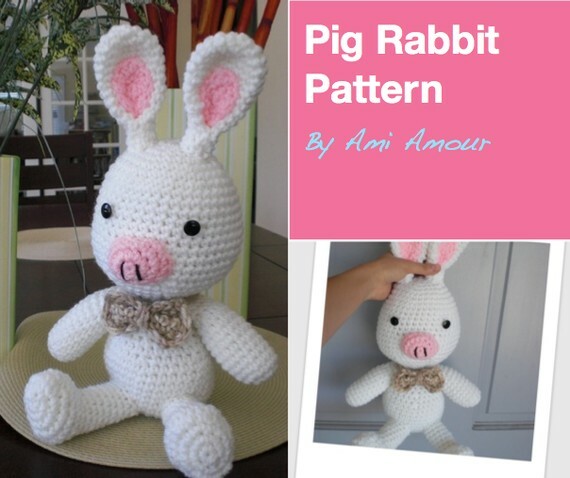 Create your very own amigurumi crochet Pig Rabbit plush! You may have seen the very cute fusion of a pig and a rabbit if you’re a fan of the K-drama You’re Beautiful. 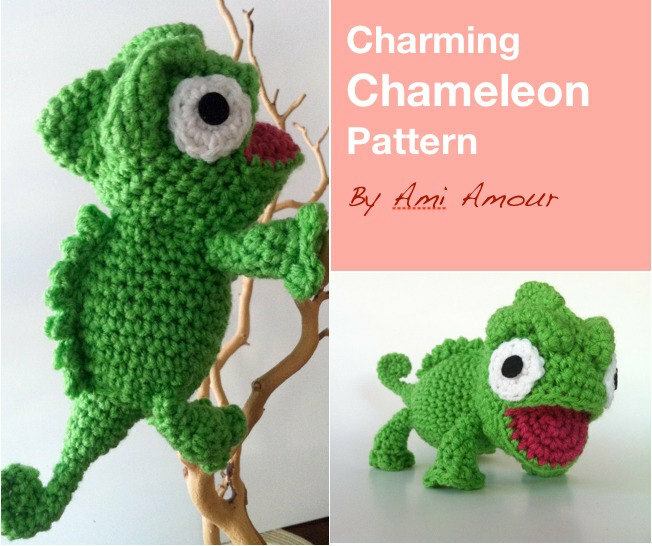 Now you can buy the PDF pattern and download it instantly through my Ravelry Shop. Format: PDF (4 pages) and written in American Crochet Standard Terms. Notable Features: Cute Bowtie Accessory, funny Pig Snout, fluffy cottontail, and long bunny ears. Hi Serena, I’m glad you found me. Amigurumis are definitely fun and crochet is easy to learn. Just look up tutorials on youtube ^^ Let me know if you have any questions. It’s so nice of you to offer me help. 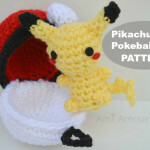 I’ll definitely contact you if I encounter any problems with learning amigurumi. 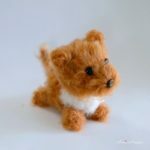 I hope that the amigurumi that I hope to me soon will not end up looking like a cat instead of the intended dog. Yes, I’m creatively-challenged. I’m just curious. How did you come across the pig rabbit? Did you get a commission or you actually watch Korean dramas? It’s so nice of you to offer me help. 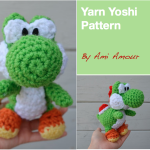 I’ll definitely contact you if I encounter any problems with learning amigurumi. I just hope that the amigurumi that I hope to make soon won’t end up looking like a cat instead of a dog like my mom said. Yes, I’m creatively-challenged. Btw, I’m curious to know how you’ve heard of the pig rabbit? Did you get a commission or do you watch Korean dramas? 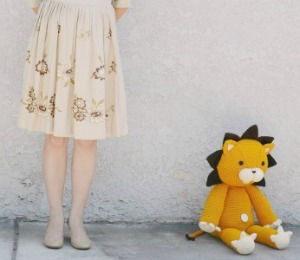 does this pattern have to be made by crochet or can you use just normal fabric? 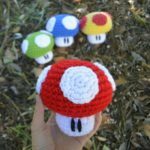 Crochet pattern is very different from fabric plushies. You have to create the fabric stitch by stich. I love the drama of “he’s beautiful”!! if there wasn’t a step…can u pls post it?? Did u have Facebook Or twitter?? hello ! good day 🙂 i want to know how to make rabbit pig ..plz ..can you help me ??? Hi Cariz. 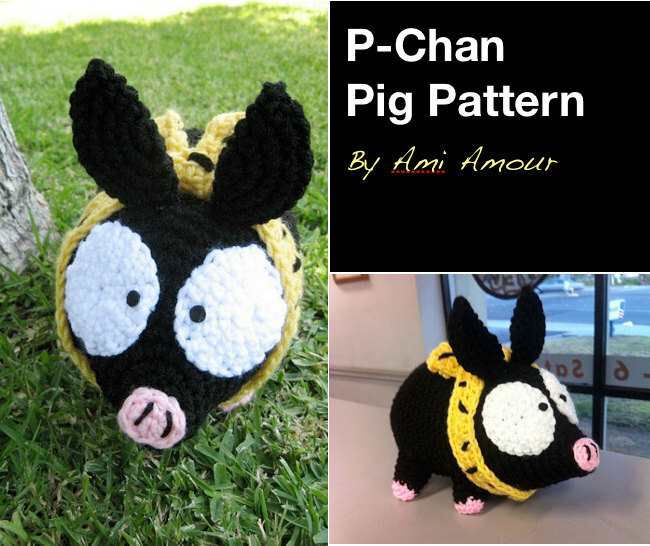 In order to make the rabbit pig you need to know how to crochet. I would recommend looking at YouTube crochet tutorials to learn. Get a 5.0mm hook and some worsted weight acrylic yarn and you’re set to go! Thanks for the share on Soompi. That is huge! Your Pig Rabbit came out so adorable! I’m not quite up to this yet(I’m having trouble reading patterns somehow, and my stitches are really inconsistent D:)–but hopefully soon I’ll have enough experience under my belt to give this a try! 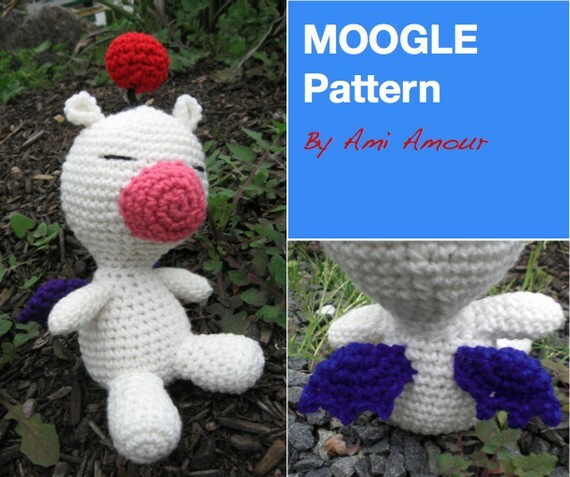 I’m really excited to know that there’s such a beautiful pattern for this available~ I can’t wait to try it! Oh awesome that’s great to hear! I’d love to see how your project turns out. Good luck and if you need any pattern help, just let me know.